Be sure to ask the right questions before you decide. Make sure that the body shop you choose does not overestimate the damage on your vehicle in order to gain a bigger profit. Only trust certified repair shops with technicians who are trained in auto-body repairs. This helps ensure your safety when your vehicle is returned. We cannot stress enough the importance of only trusting your vehicles with qualified and knowledgeable professionals. International Autos Body Shop in West Allis understands that a fender bender is incredibly stressful. However, knowing what steps to take following a collision can help make the entire process easier on you. At International Autos Body Shop in West Allis, we care about our customers and strive to provide quality service with fair pricing. 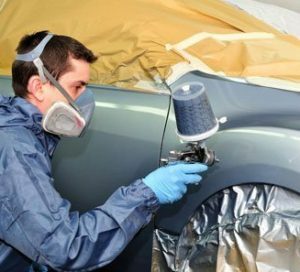 Although your insurance provider may make recommendations after a collision, it is ultimately your decision to choose a body shop. For your convenience, we work with almost all insurance providers. If you choose International Autos, it is guaranteed that your car will be returned back in impeccable condition. Our expert repair technicians can handle all of your needs. Finding a reputable shop that you can count on makes all of the difference. To get started with your repair, please fill out a contact form or call us at 414-727-6799 for any further questions. We look forward to getting you on the road again. International Autos Body Shop in West Allis proudly serves the Metro Milwaukee area.